The last day of the XIV World Forestry Congress commenced with four parallel roundtable sessions during which participants considered the way forward on: forest information; building momentum for community-based forestry, and forest and farm organizations, which included the launch of the FAO-We Effect partnership; the youth; and forest and landscape restoration. In the discussions on forest information, participants considered, inter alia, advances in forest biophysical data collection, gaps and limitations in socio-economic data collection, the need to account for population growth, urban sprawl, and water in data collection, and the need for synergy between data suppliers and data consumers. 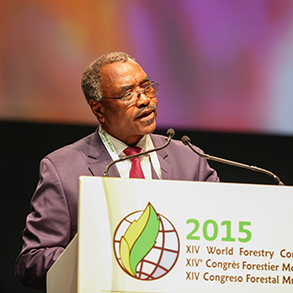 On community-based forestry, forest and farm issues, participants noted that the voice of local communities have been stronger at this Congress than before, and that the issues of how to facilitate communities' access to finance, how to create an enabling environment for participation in the forestry sector and how to build trust between governments, communities, and the private sector need more work. 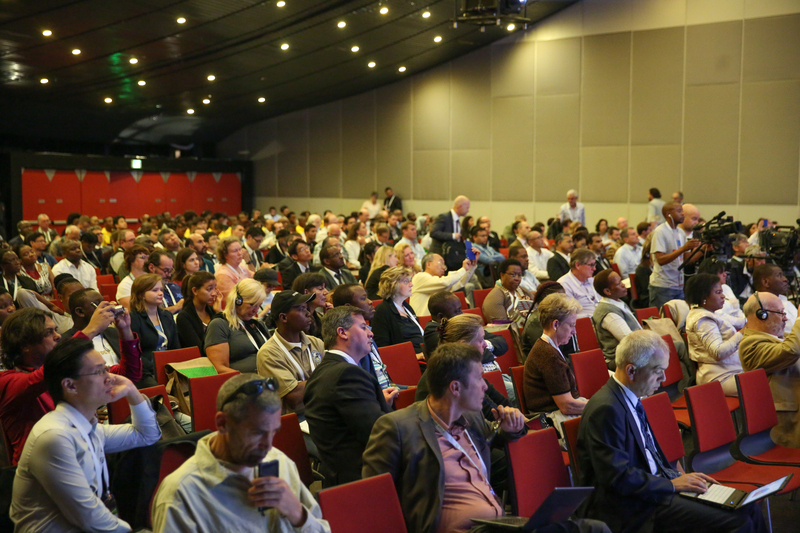 In the session on youth, delegates recommended for future Congresses: greater youth-initiated panels; training and collaborative sessions; improved accessibility for disadvantaged youth; and enhanced focus on building agency in the youth to take on initiatives in their own countries. Delegates identified that a global mentoring programme should: be strongly associated with cross-sectoral integration; avoid turning mentor-mentee relationships into a silo approach lacking communication across interest areas, and identify how the degree of structure of the programme reflects the cultural associations of where the mentorship takes place. In the forests and landscape restoration roundtable, participants considered opportunities and challenges, highlighting: the role of research in generating knowledge and providing independent assessments to support decision making; the need for targeted, strategic finance and demonstrating value; existing tools, methods and frameworks; the need for further political support; the importance of tenure, legality and poverty alleviation approaches; and the need to improve coordination and collaboration drawing on linkages and synergies between different actors and sectors. 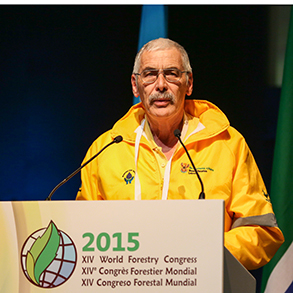 In the afternoon, during the closing plenary, three outcome documents emerging from the XIV WFC were presented. Messages were delivered from the Congress: to the UN General Assembly Summit for the adoption of the 2030 Agenda for Sustainable Development, emphasizing the multi-functionality of forests and their essential role for the SDGs; and a message on climate change calling for greater attention to forest-dependent communities and the critical role of forests for climate adaptation and mitigation. 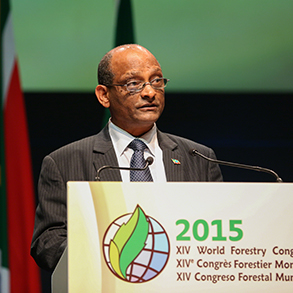 The XIV WFC Secretary-General read the Durban Declaration, which offers a vision for forests and forestry to contribute to achieving the 2030 Agenda for Sustainable Development. 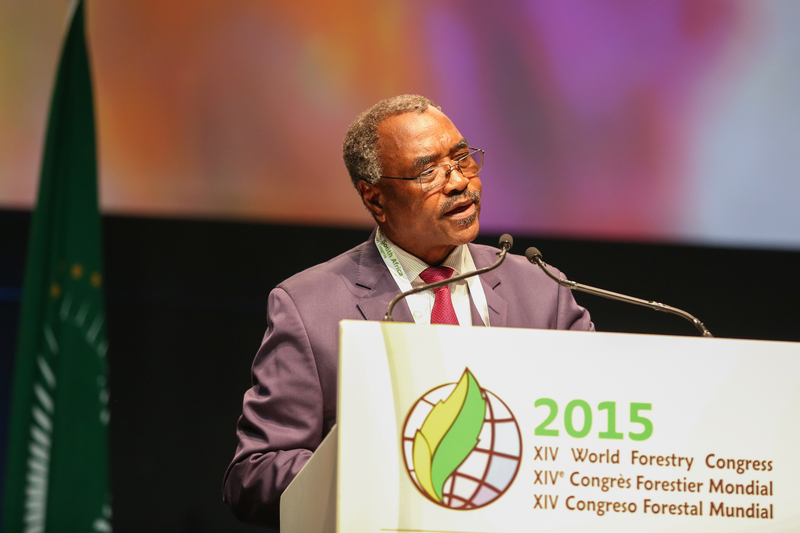 During the closing ceremony, FAO’s Assistant Director-General and Regional Representative for Africa in concluding remarks, thanked the Republic of Korea and the Russian Federation for their expressions of interest to host the XV World Forestry Congress. 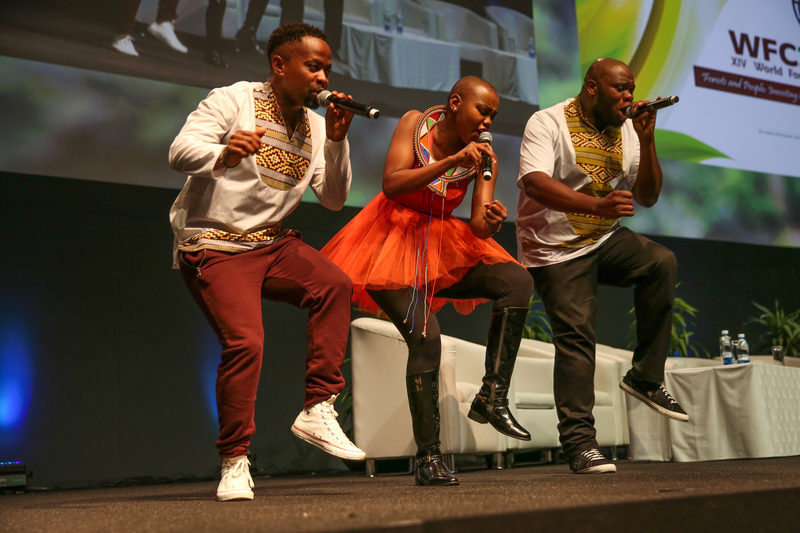 The South African government applauded youth involvement and welcomed the Durban Declaration. 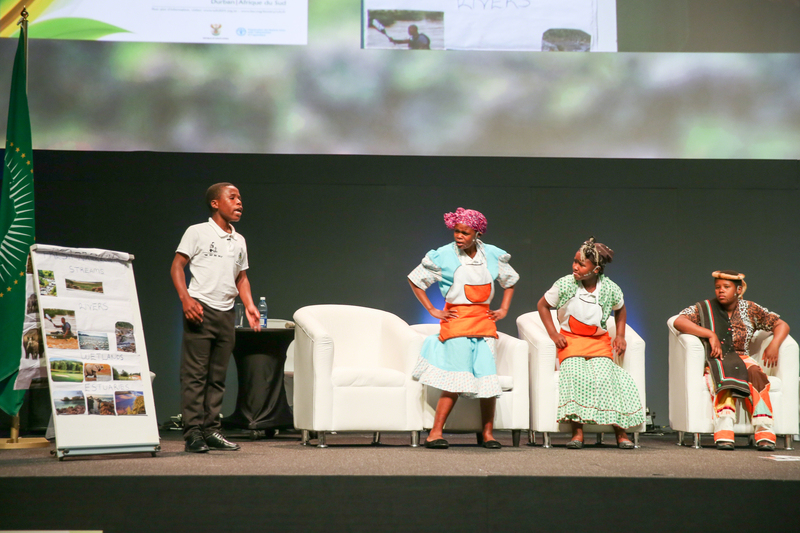 After a musical performance by local band Afrosoul, a South African primary school performed a play on “ecosystem services and wellbeing - sustaining our needs, not greed.” XIV WFC Secretary-General Trevor Abrahams closed the Congress at 4:34 pm. 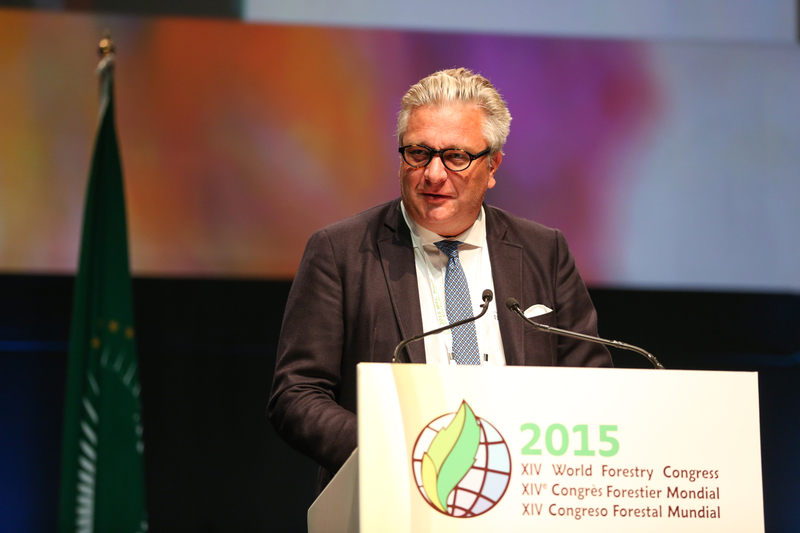 On Wednesday morning the Congress reconvened in a plenary panel discussion on critical aspects that remain missing in making forestry more sustainable, moderated by Matt Frei, Channel 4 News. Panelists discussed: the need for participatory governance models for forest-dependent communities to both secure their livelihoods and protect the forest; the need to integrate sustainable forest management (SFM) into agricultural intensification to meet food security objectives for a growing population; and the role of governments in recognizing the economic potential of forests while sustaining existing arable land on the African continent. Photographer Stuart Franklin presented award-winning photographs from the Forests and People contest, announcing the winner as Sofía Alvarez Capuñay. 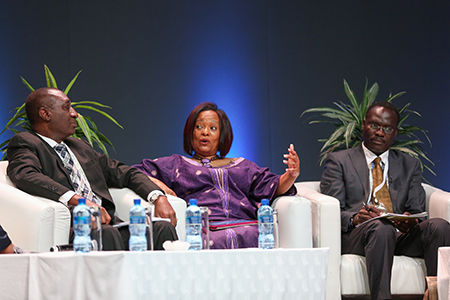 A Wildlife Forum special event was held in three sessions during which panelists and keynote speakers addressed: rights, governance and tenure in wildlife management and whether strengthening communities' roles in wildlife management improves conservation; and cooperation, legislation and innovation in conservation. 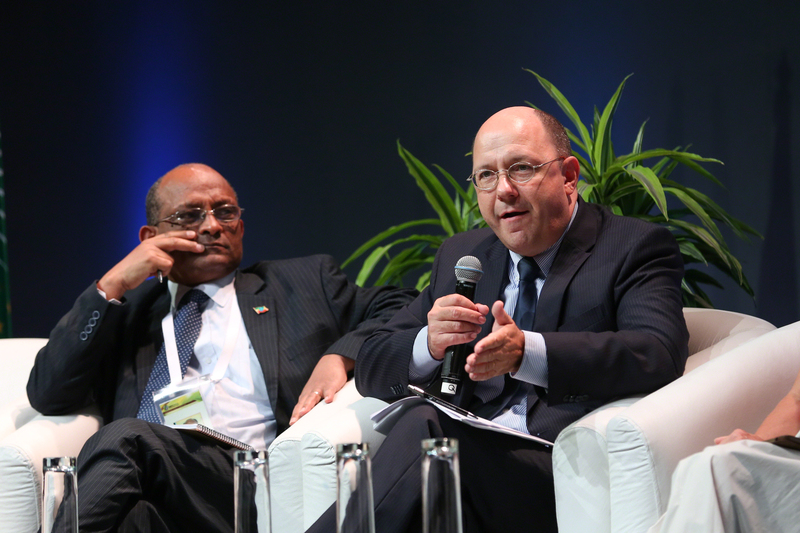 During the third session of the Sub-Thematic Dialogues, parallel sessions considered: small and medium forest enterprises as drivers for sustainability, equal benefit-sharing, and investments for forests and people; critical insights into resilience from experiences across the world; perspectives on planted forests; new developments from Buenos Aires to Durban and beyond in sustainable trade; experiences in forest monitoring for better decision making around the world; and connecting local and global governance-building capacity to implement the post-2015 development agenda. In the afternoon, the fourth and final session of the Sub-Thematic Dialogues focused on: building effective forest and farm producer organizations as primary actors for a sustainable future; the importance of an enabling environment to support resilience; integrating land use practice and policies in urban environments, multi-purpose landscapes, landscape restoration and agroforestry; innovation in energy, financial markets and investments in forest and land; new technologies and approaches for monitoring forest and tree cover; and strengthening public forestry institutions through improved forest governance. 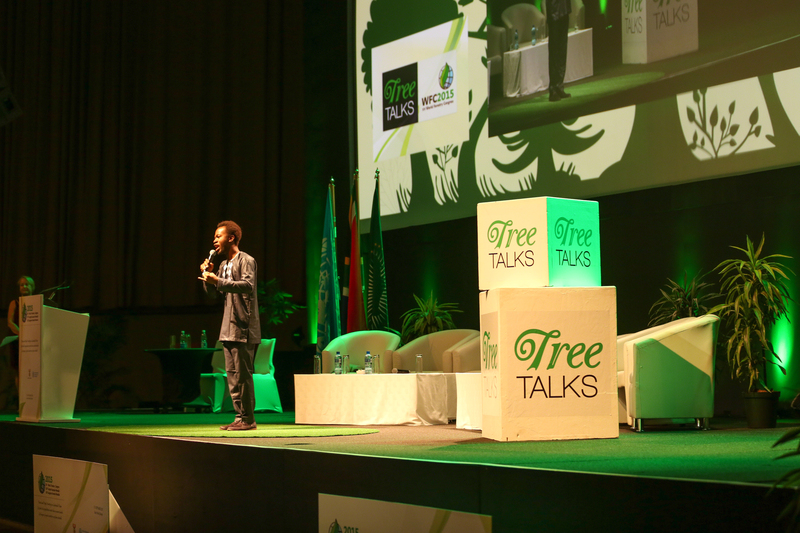 A special event: Youth - Forests for the Future was held in the afternoon, and underscored being committed to understanding the needs of the youth, actively engaging with the youth, and creating forums for their meaningful participation. 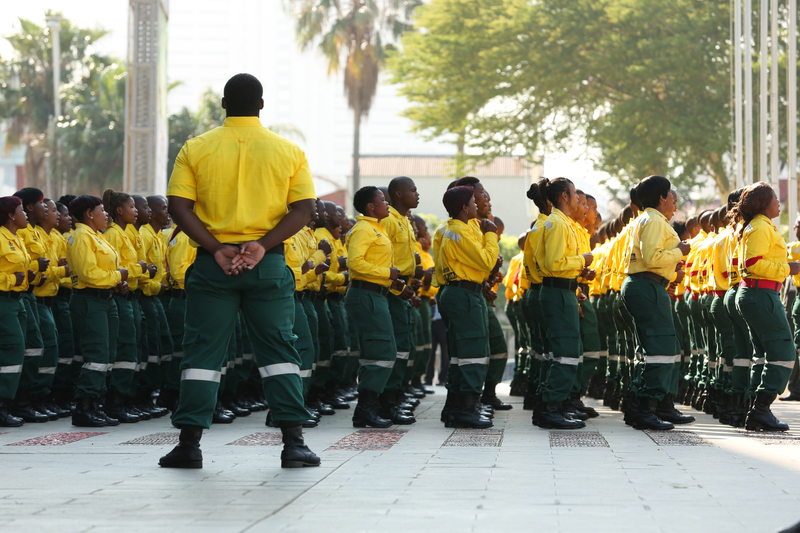 Impassioned youth speakers called for urgent action, saying the time to act is now. 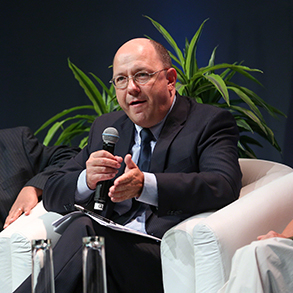 In the second and last day of the Forests and Water Dialogue, two keynote speakers presented the policy challenges related to the integration of forests and water emphasizing the need to look at these issues in a broad context and to remove misconceptions about forests and water interactions. 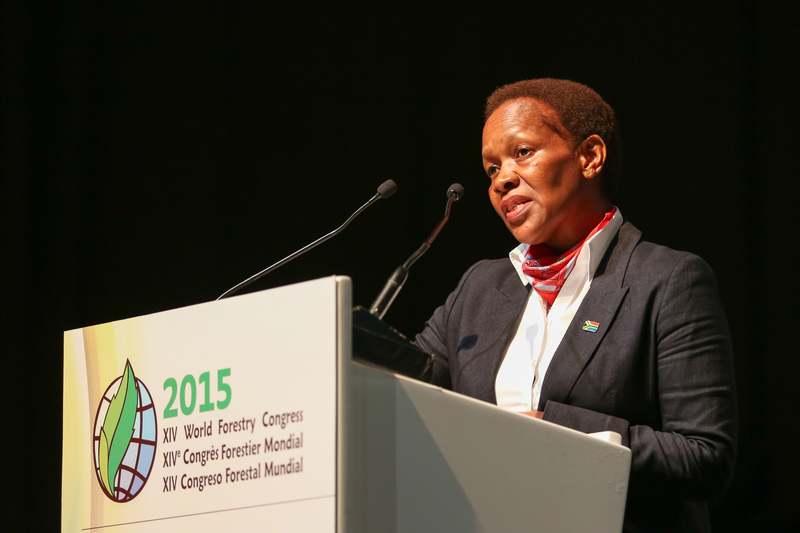 Breakout groups discussed the establishment of an international forests and water network. 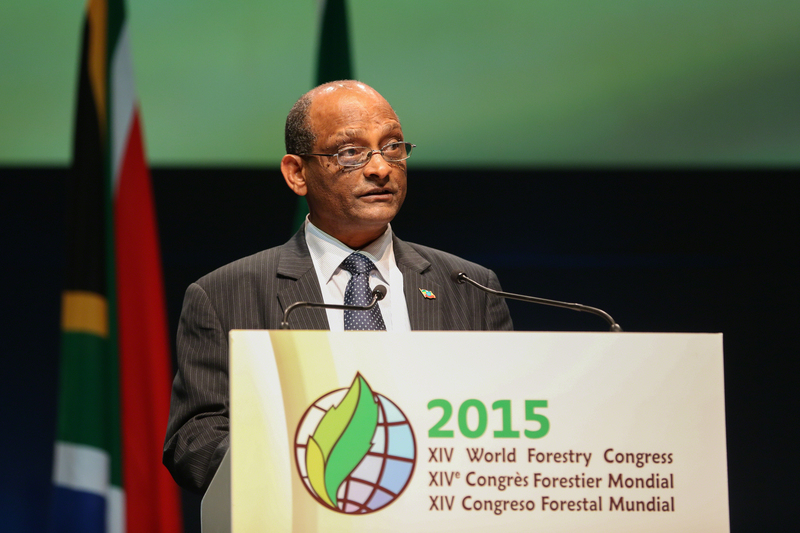 In the afternoon, Forests and Water: a five-year action plan was launched, which currently has a project portfolio of US$10 million for research to understand forest-water relationships and for improving water resources through SFM. 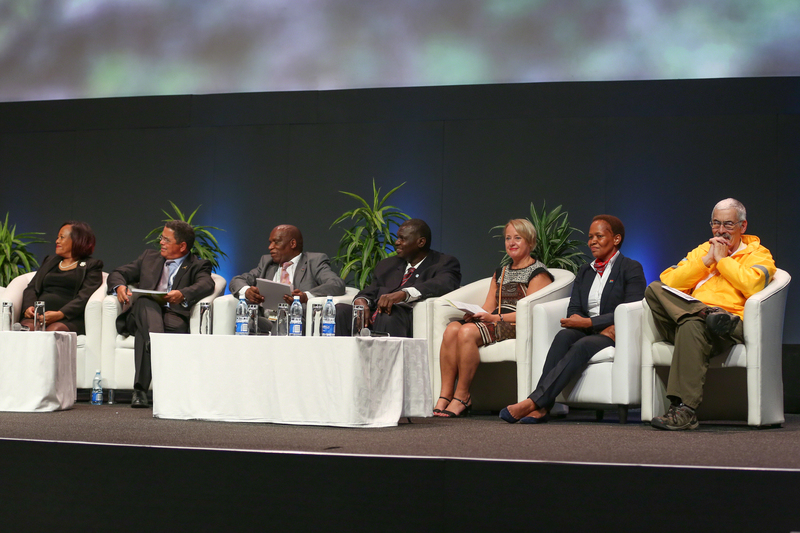 A closing panel commended the Dialogue as a successful opportunity for knowledge and experience sharing on forests and water issues, and emphasized the importance of coherent, simple science messages and of implementing the action plan through multi-stakeholder and multi-sectoral participation. 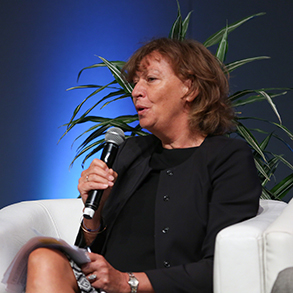 On Tuesday morning the Congress reconvened in plenary for a panel discussion on investments that will help build a resilient future, moderated by CBS television journalist Debora Patta. Panelists discussed: the role of forests in improving the resiliency of countries to reduce vulnerability to extreme weather events associated with climate change; the transdisciplinary nature of research and development required to understand complex systems; the need for adaptation in the forestry sector and investments to build resilience; a collective strategy for coordinated action that includes both sustainable production and consumption; and facilitating communication between people and their leaders. 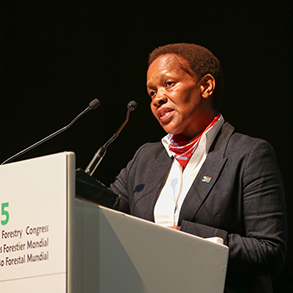 During the second session of the Sub-Thematic Dialogues, in a series of parallel World Café sessions on resilience and forests, participants focused on: the role of fire management; the role of tree genetic resources in maintaining the adaptive potential of forests; different African forest ecosystems management approaches to withstand economic, environmental and social shocks; the costs and negative impacts of the biological trade on the economy, society and the environment; building greater resilience through integrating trees into farming systems; and addressing the drivers of deforestation and forest degradation through appropriate climate change policies and actions, including active community participation. Other Sub-Thematic Dialogues included panel and interactive discussions on: the role of forests in ensuring future food security and nutrition; investing in sustainable forest and landscape restoration and management for the triple win; how forest-based products can reinforce trends towards sustainable cities, green architecture and healthy living with wood; developments in the national forest inventory and national forest monitoring systems; and the need to foster understanding of sustainable forest management (SFM), promote the benefits that forests bring to society, and build meaningful and constructive dialogues. 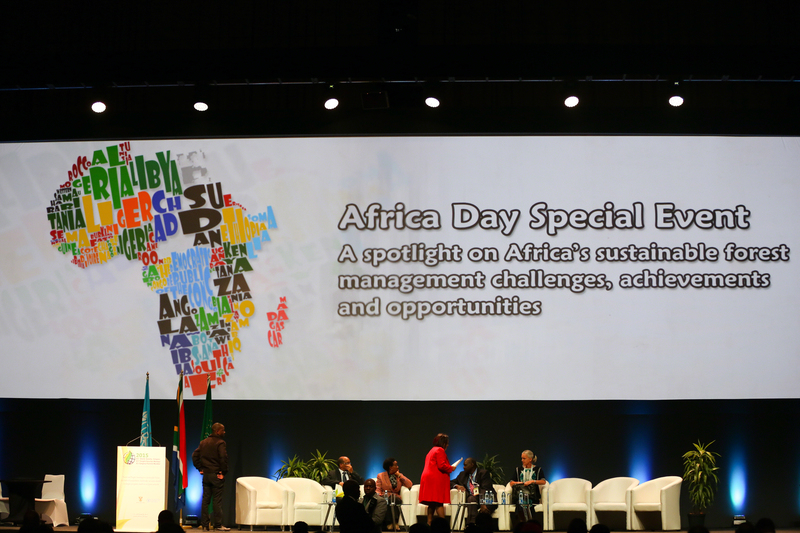 In the afternoon, an Africa Day special event focused on the important role of African forests in improving food security and water availability, protecting biodiversity, and in mitigating and adapting to climate change. 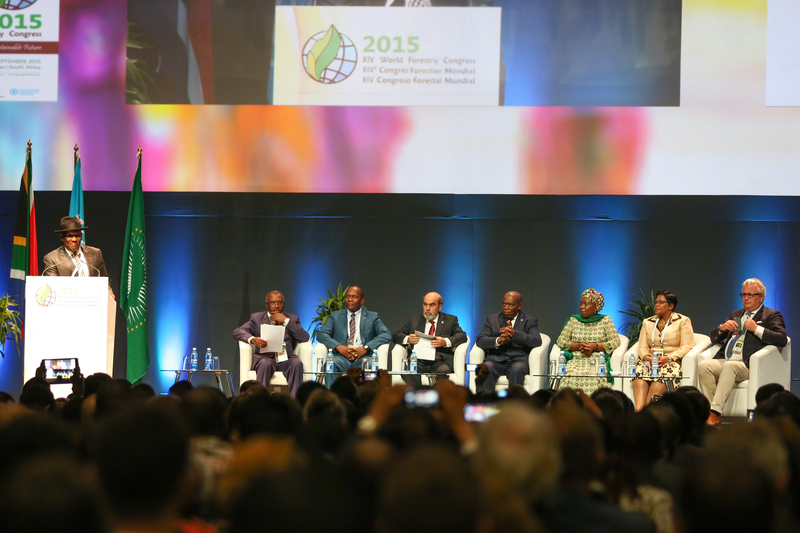 Panelists discussed, inter alia, successes in improving SFM on the continent, while combating illegal logging, agricultural expansion and rapid population growth. 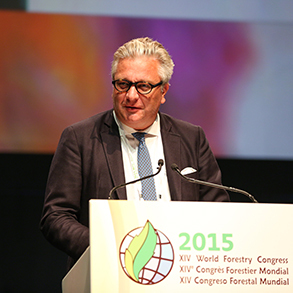 The special event on wood energy for the future explored the outlook for wood energy in households and modern industries. 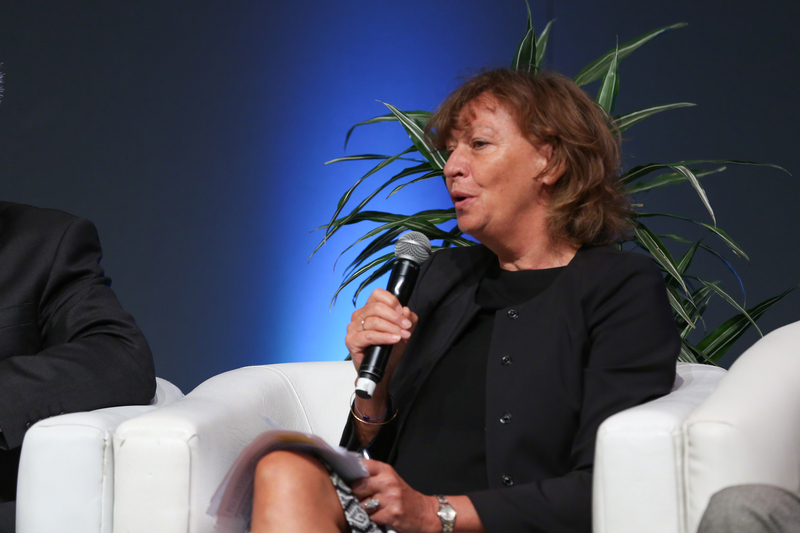 Panelists highlighted the need for framing wood as a modern sustainable energy source and called for increased efforts in developing value chains and innovation. 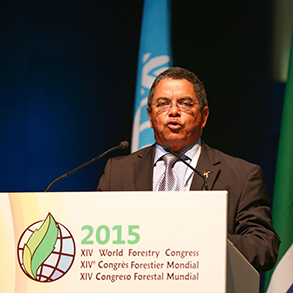 The International Forests and Water Dialogue was held throughout the day. In the morning, keynote presentations introduced the international forests and water agenda, and the scientific aspects of forest-soil-water relationships, including the impacts of climate change and uncertainty. In the afternoon, several speakers presented recent research on forest-water relationships, followed by a session on ground-level experiences of forest management for water. 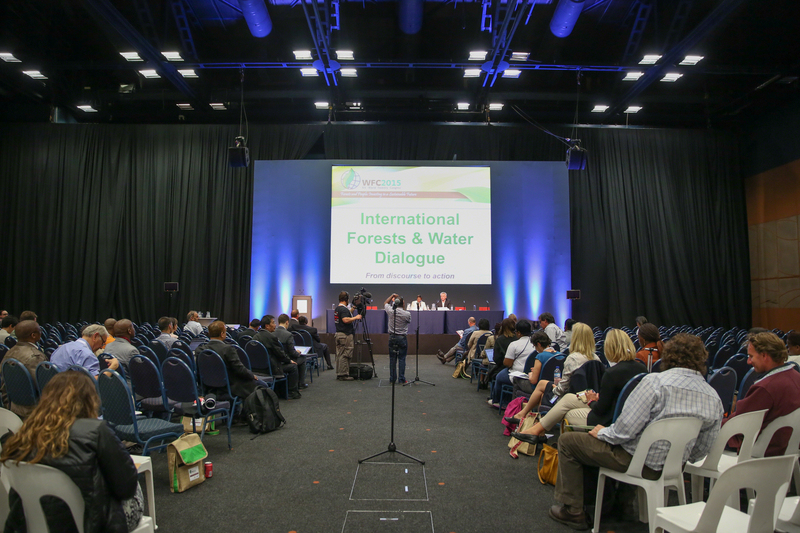 The first day of the Dialogue concluded with a World Café showcasing examples of forest-water interactions from different countries. 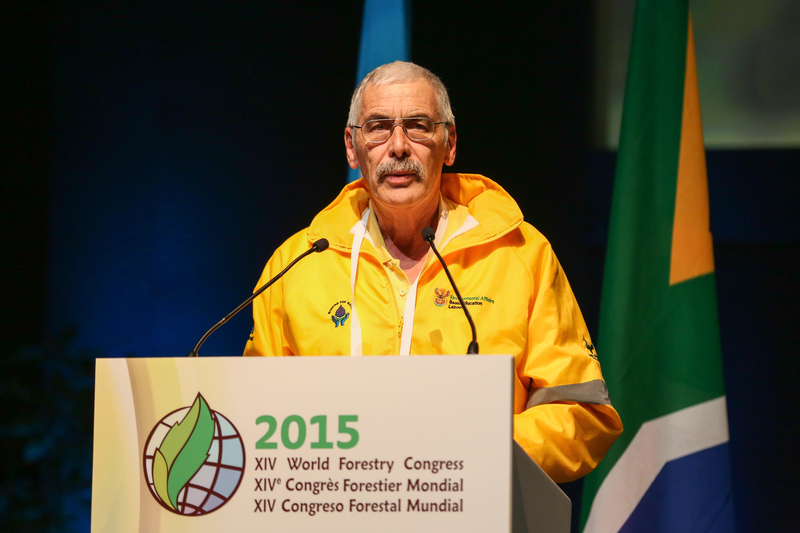 The fourteenth World Forestry Congress (XIV WFC), opened in Durban, South Africa, and will continue until Friday 11 September 2015. 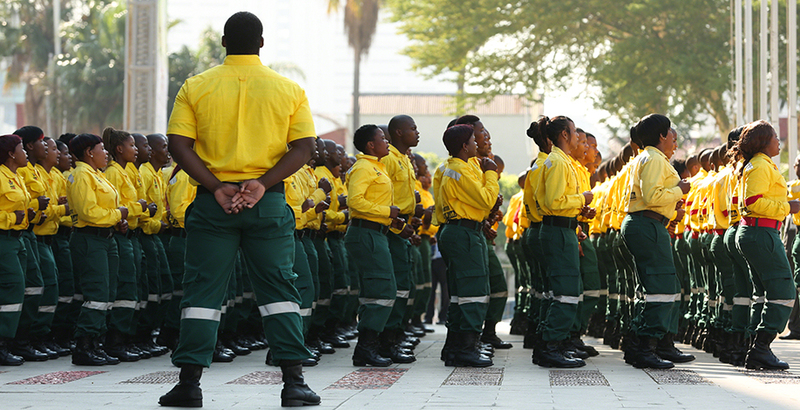 Prior to the opening plenary, during a flag-raising ceremony, South Africa’s Working on Fire teams delivered traditional song and dance performances. 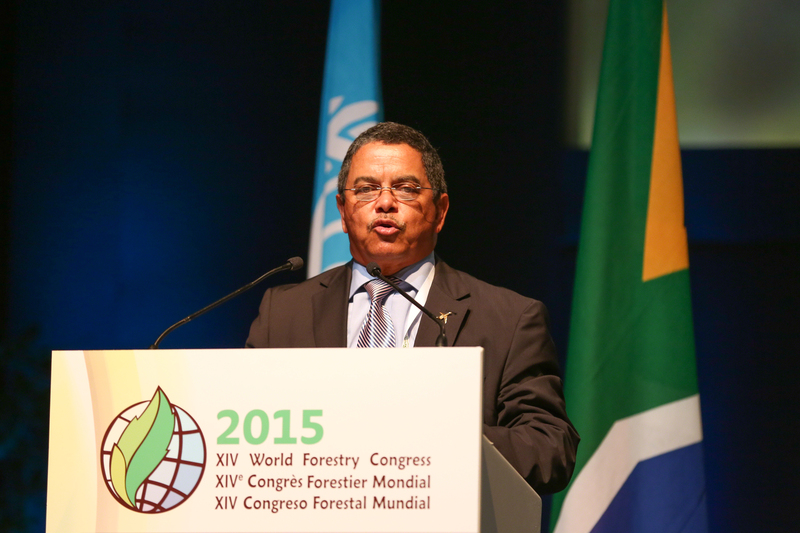 After welcoming remarks from the South African government representatives, HRH Prince Laurent of Belgium, FAO Special Ambassador for Forests and the Environment, underlined the need to raise awareness on forests among young people and invest in research and forest education with particular attention to the role of women in it. 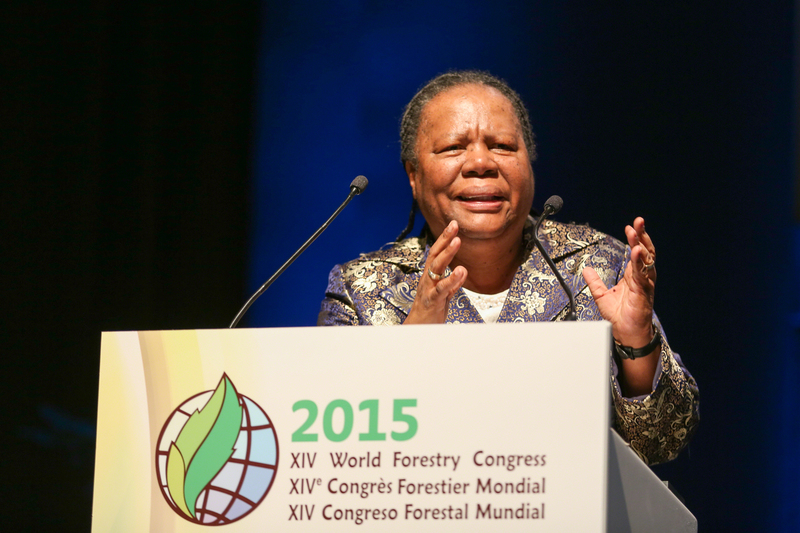 Nkosazana Dlamini-Zuma, Chairperson of the African Union Commission, stressed the importance of sustainable forest management (SFM) for climate change mitigation and the protection of coastal areas and for peace and security. 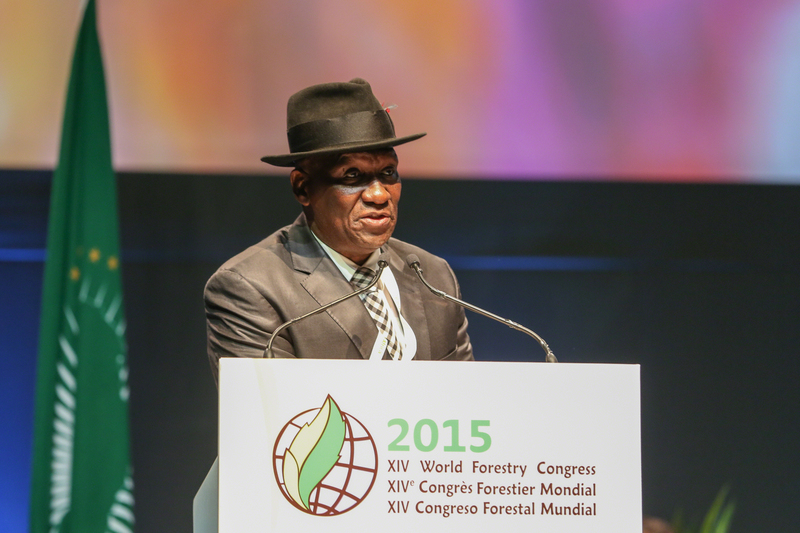 Ban Ki-moon, UN Secretary-General, via video, emphasized the role of SFM as vital for several sustainable development goals, while calling on forest managers to raise the potential for SFM to complement the Post-2015 Development Agenda. 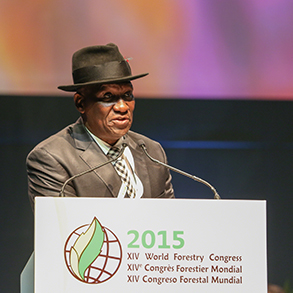 Hosny El-Lakany, Alexandria University, and Bheki Cele, Deputy Minister of Agriculture, Forestry and Fisheries, South Africa, co-chaired a High-Level Dialogue on the Global Forest Agenda, with ministers and dignitaries discussing: the need to promote experience exchange in forest governance; adopting sustainable development goals (SDGs) related to forests; developing innovative solutions to meeting environmental challenges; building capacity in local communities to facilitate SFM successfully; and developing a long-term vision for forests that include more investments in gender equality, secure tenure and good governance, and forest education. 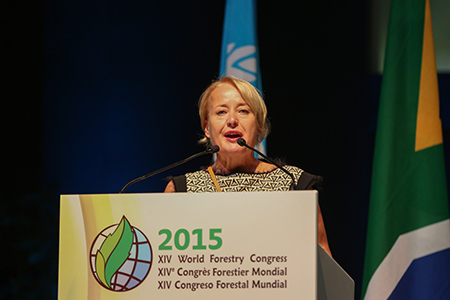 During the opening plenary in the afternoon, Channel 4 News presenter Matt Frei, challenged participants to “take the forest out of the woods” and address the challenge of “how to feed the planet’s growing population without killing its lungs.” Christiana Figueres, Executive Secretary, UNFCCC, via video, emphasized forests’ roles in addressing climate change and stressed the need for catalyzing coordinated and coherent investments in sustainable forest management. 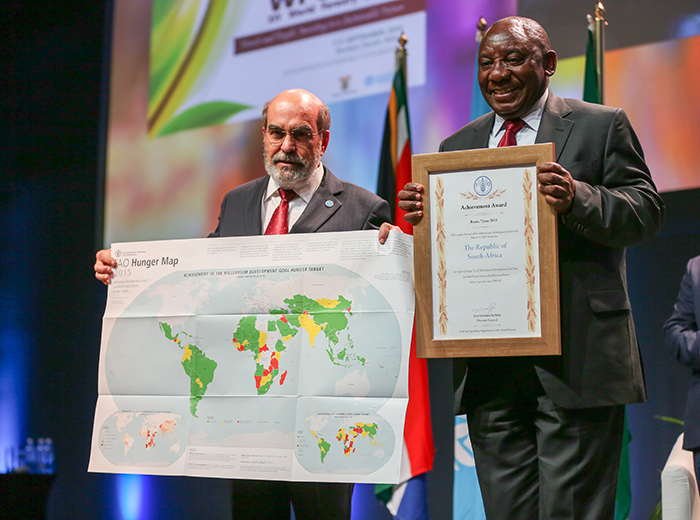 In a special address, South African Deputy President Cyril Ramaphosa highlighted important lessons on collaborative integration between nations in managing forest resources, as exemplified by South Africa’s “Working on Fire” initiative. 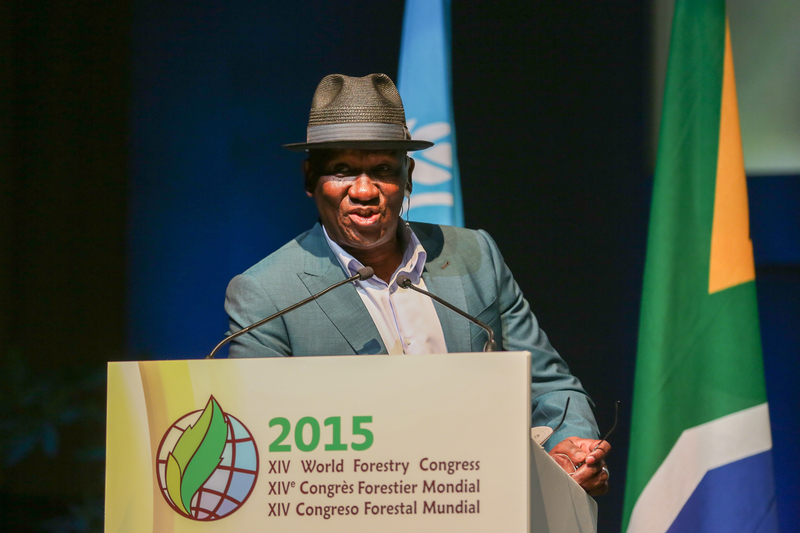 He urged that policies related to the forestry sector be attuned to the economic, hydrological and environmental values vital to all African economies. 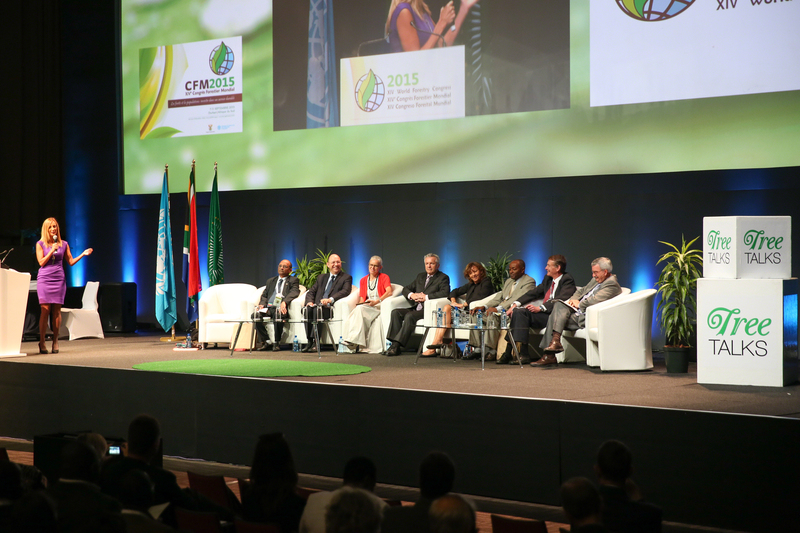 In the evening, participants attended six sub-thematic dialogues. In the session on forests for socio-economic development and food security, participants discussed issues relating to land tenure and creating enabling environments for local communities. 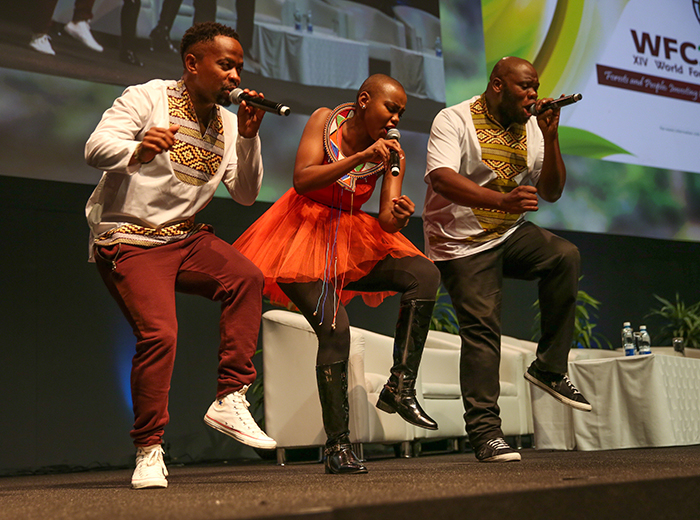 The session covered the disconnect between policy formation and adoption at ground level, as well as encouraging land tenure reform effective at benefitting women and the youth. 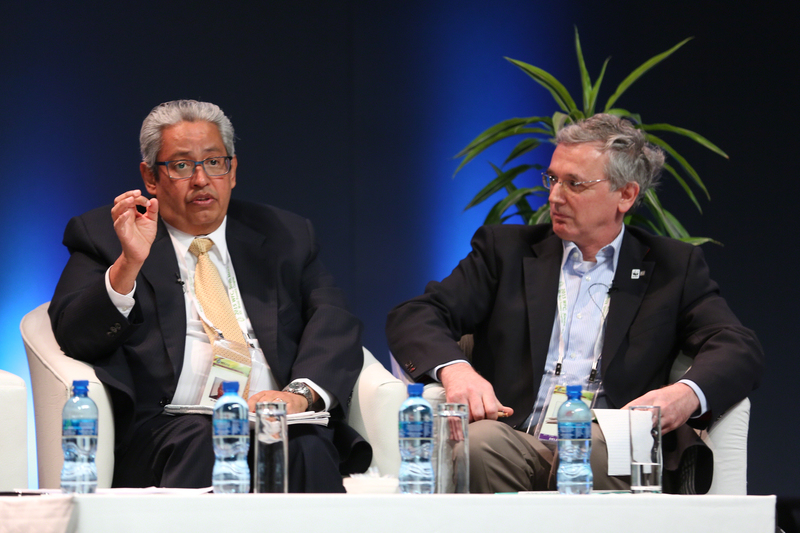 In the session on building resilience with forests, five panelists presented on resilience initiatives from research, the economic sector, indigenous communities and regional resilience initiatives from the African and Latin American continents. In the session on integrating forests and other land uses through “feeding the world: land use options and the role of forests and trees," participants explored the constraints facing stakeholders to manage lands so as to minimize trade-offs between multiple land uses, and discussed actions to facilitate complementary land uses and meet needs for food, fibre and fuel. 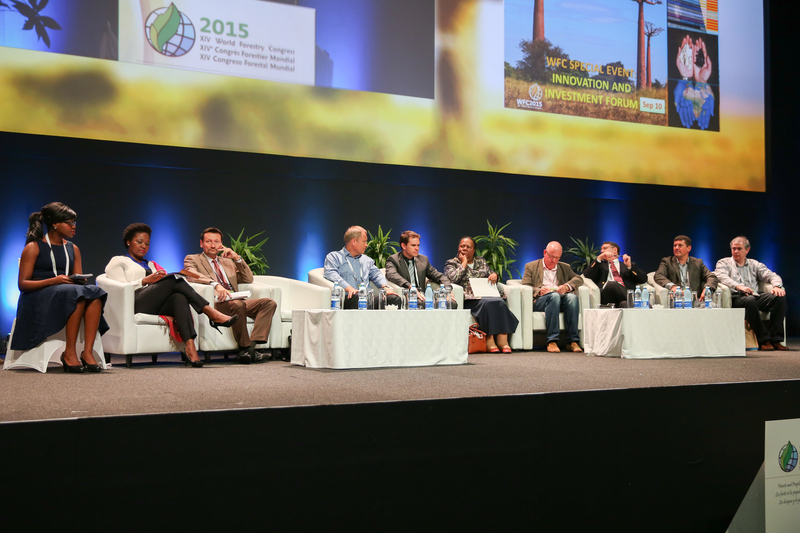 In the sub-thematic session on product innovation and sustainable trade, two panels focused on the role of innovation and the potential application of citizen science. 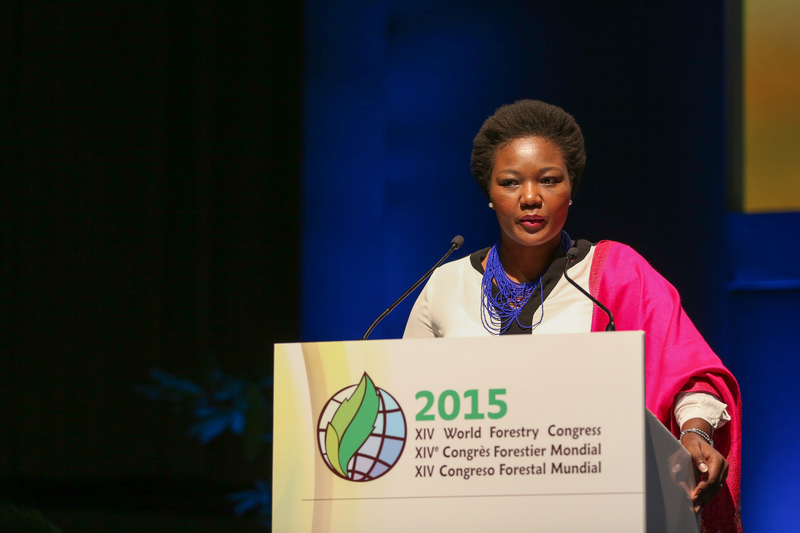 Presentations covered the need to think about forests and engage the public in new ways, and examine how technology and innovation is leveraged. In the session on monitoring forests for better decision making, panelists explored the beneficiaries and return on investments in monitoring practices. In the session on improving governance by building capacity, panelists suggested that building capacity in forest management requires adequate governance arrangements across sectors through informed political leadership, inclusive decision-making and improved inter-sectoral capacity for collaboration.